​Macao (Macau) : The Portuguese Story. In A.D. 1514, i.e., 9th Year of Ming Emperor Wuzong's Zhengde Era, the first Portuguese ship arrived at Guangdong Province coastline. 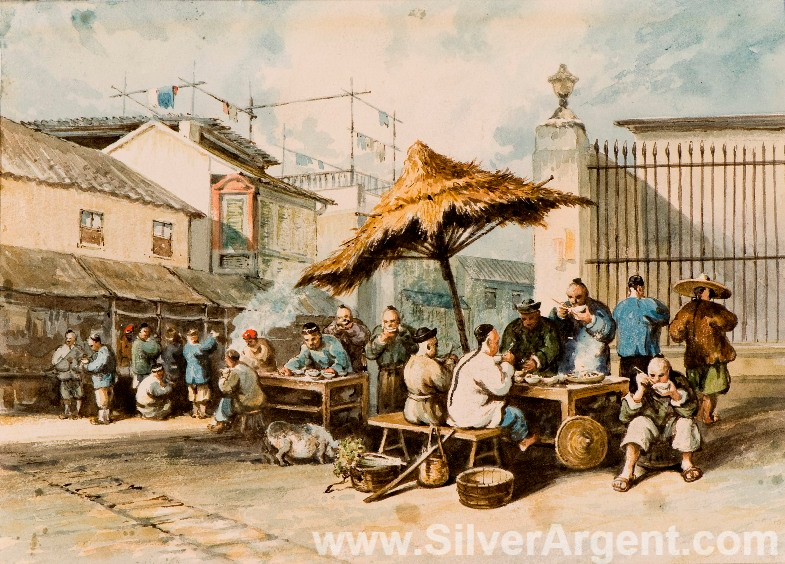 As a result of bribery and collusion of Portuguese with local officials, the Ming Dynasty Chinese government had mis-identified the Portuguese as Malacca merchants. At that time, Malacca was considered a Ming vassal state. In 1520, Ming Dynasty discovered that Portigal (Fulangii) had incorporated the land of Malacca. 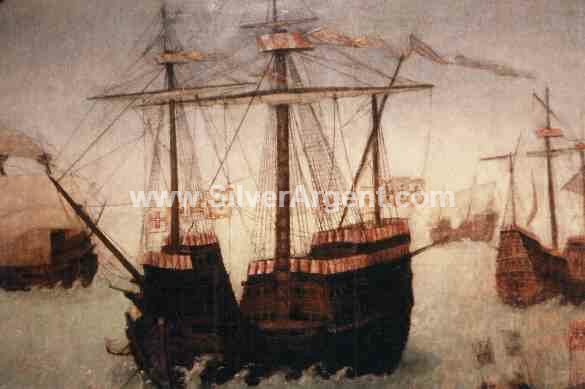 In 1521, The Malacca Sultan then lodge a complaint with the Chinese Emperor against the Portuguese invasion, the Portuguese were greeted with hostility by the Chinese when they arrived in China. Ming Emperor Shizong (Zhu Houcong) issued the decree of expulsion right after enthronement. The Portuguese interpreter was executed, while Portuguese emissary Thomas Pirez was driven to Guangdong coast from Peking. Thomas Pirez, retained as a hostage for restoring Malacca Kingdom, later died in prison in Guangdong Province. In 1521-1522 Sino-Portuguese War broke out, Ming army climbed up two Portuguese ships, killed about 35 Portuguese, captured 43 Portuguese alive, and caused numerous others fall off the ships and get drowned in the seas. From 1547 to 1549, Ming Governor Zhu Wan, also the imperial commissioner for coastal defence of Fujian and Zhejiang provinces, launched three attacks at the Portuguese, wiping out Portuguese strongholds at Shuangyu (Ningbo, Zhejiang), and killed and captured over 239 Portuguese at Wuyu (Zhuangzhou, Fujian) and Zoumaxi (Shaoan, Fujian). The Ming's army also managed to burn seventy-seven battleships of different sizes. After that incident, the Portuguese employed means of deceit and bribery, saying their commercial ships had suffered windstorm, and were thus permitted to set up sheds in Macao to rest and dry their clothes. They went on to build ramparts, barbettes, and official mansions on the pretext of defending the invasion of the Dutch. 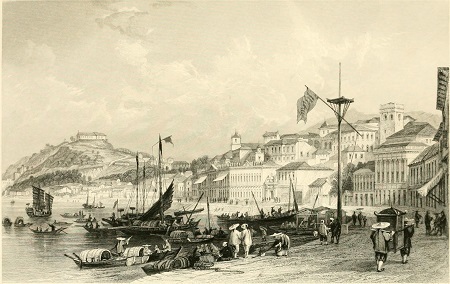 Macau became a colony of the Portuguese empire in 1557. Chinese Qing government retained sovereignty and Chinese residents were subject to Chinese law, but the territory was under Portuguese administration. In 1582 a land lease was signed, and annual rent was paid to Xiangshan County. Succeeding Manchurian Qing Dynasty inherited Ming's policy and granted the Portuguese access to the markets the same way.